Introducing the New U.S. Cooler Walk-in Door. Here at U.S. Cooler®, we work hard to bring you a quality product at a reasonable price with exceptional attention to the needs of the customer. 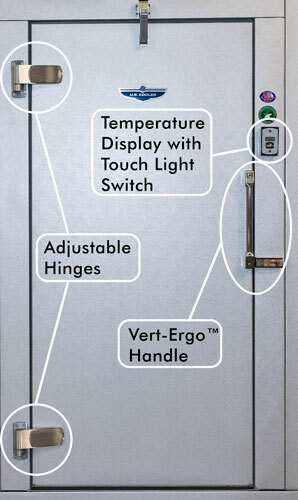 So, with that in mind, starting today, all walk-in coolers and freezers will come standard with our break-through Vert-Ergo™ handle, new adjustable hinges, efficient LED lighting, and a dual-temperature display with touch switch. Below, we have more information about each of the new products, but what does this mean for you? In short, our new Vert-Ergo™ handle provides a more ergonomic hand position while increasing your leverage to make opening your walk-in cooler or freezer easier. The new adjustable hinges allow easy adjustment of door alignment with standard spring-action door closing. 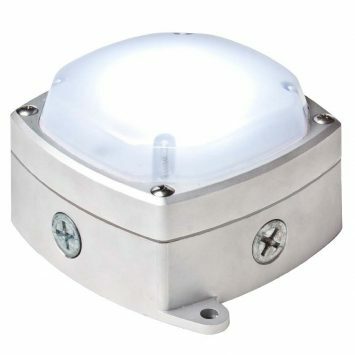 The efficient LED lighting offers a reduction in electrical usage, plus a decrease in heat generation for further savings. 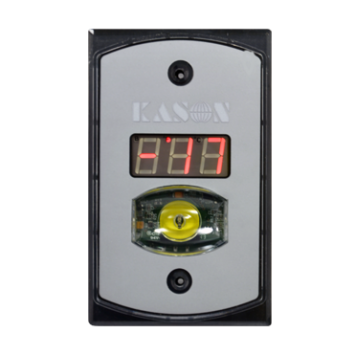 Lastly, the thermometer with built-in light switch offers dual-temperature display with an easy-touch switch, as well as multiple other add-on features for further energy control. We work hard to ensure that every detail of your walk-in cooler and freezer is built to our superior quality standard and is manufactured with your needs in mind. Vertical handle design for easier opening. Ergonomic positioning for a comfortable feel. Reversible for mounting on either a right hand or left hand door. Designed to reduce electrical usage by 85%. Minimal heat generation will lower utility cost. Exceeds Federal Energy Act Requirements. Rated for 50,000+ hours of life. Strap adjusts horizontally, providing door lift and rotation to compensate for unlevel or uneven floors. Built-in spring action is standard. 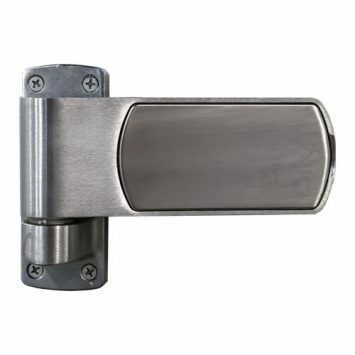 Left and right hand hinges use the same component parts for faster mounting and replacement. Dual-temperature display changes between freezer and cooler temperature probes. 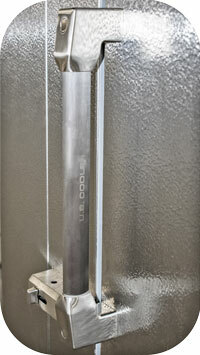 Read the article Introducing the New U.S. Cooler Walk-in Door. Check out our new installation video by clicking here or on the picture above. You can also take a look at our installation guide at www.uscooler.com/support/installation-guide/. U.S. Cooler would like to thank all those currently in the military and the veterans for their service. Written by Mickey Gauld on November 11th, 2016 .